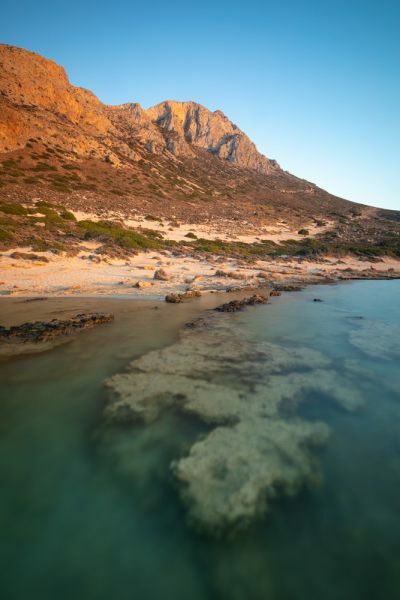 It was fun exploring travelling and shoot Crete photos with wildlife photographer Morten Hilmer. Crete isn’t exactly known for its wildlife. Yes, there are some wild goats, some birds of prey, and even an endemic cat called the Cretan wild cat – although it’s almost never seen. 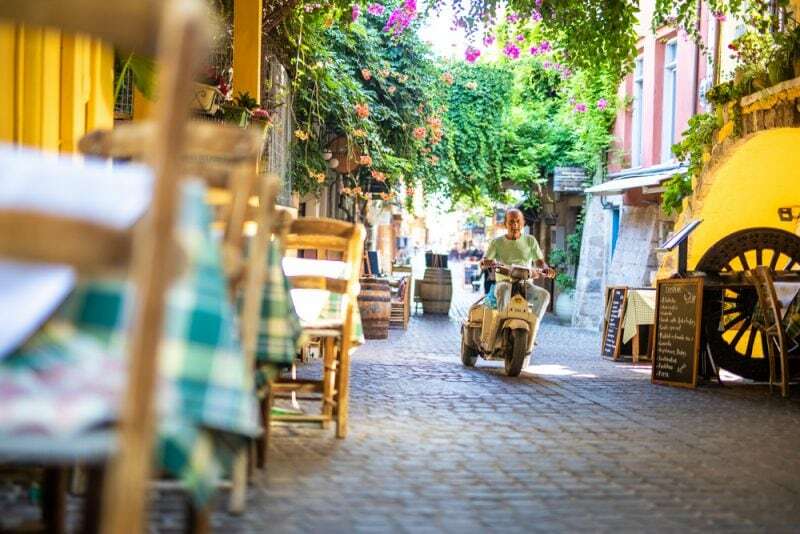 But, for the most part, this Greek island is known for its beaches, seascapes, and port towns. So, what was a wildlife photographer doing in Crete? Well, the short answer is that Morten and I have a project up our sleeves. We were hanging out to make sure we got along before fully committing to that project. More on that later. The long answer is that this world is a big one, and the number of people that understand what life is like putting yourself out there on YouTube is small. So, it’s good to build friendships in the community that we can rely on when we need them. It’s also just nice to have friends in the industry to rant, chat, and discuss with. But, unlike the real world where your colleagues work in adjacent offices, in the YouTube world, our colleagues are all over the planet. Sometimes we need to travel a bit to have the opportunity to talk shop. So, where did we go to make our Crete photos? The lovely @alajode posing for one of my favourite Crete photos yet. You saw this on the photography blog earlier in the week. I sat down with Morten had chatted about wildlife photography and used some of the comments from the community as well. If you haven’t seen that video, go check out this page. I was looking forward to putting Morten to the test a little bit. I’m a big believer that good photographers can photograph any subject. I knew that Morten’s Crete images would probably be much better than most expect. But, even so, Morten is a wildlife photographer. There really are no two forms of photography more different – I mean, aside from the scenarios where you include wildlife into a landscape. Especially when you shoot a lot of long exposure photography like I do, there are big differences. The tree image from our landscape photography day. But, I think Morten had a good time at our first location in Crete. We found 2 subjects to photograph on this part of the island. The first was a set of trees that were just being hammered by some harsh afternoon light. With a long lens, I was able to accentuate the contrast of the light on the trees with the dark background of the cliff wall. 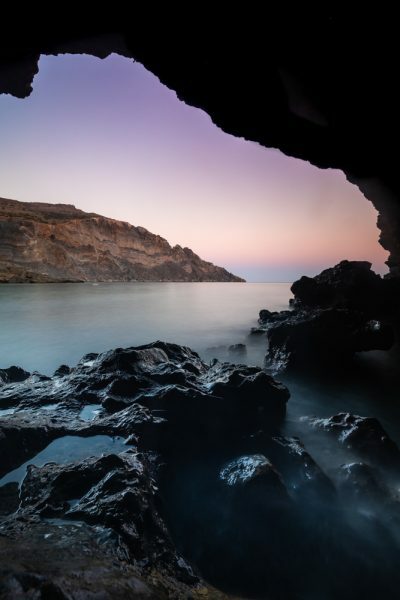 The second landscape photography spot we came across was a cave off a beach on this really desolate part of the island. The cave itself wasn’t all that spectacular. But, it made for a nice frame for the seascapes in the foreground. It wasn’t an easy shot, though. With it being so dark in the cave and so bright outside, I needed to use 7-stops worth of grad ND filters to make it work. If I’m being totally honest, part of me was wondering if we made the wrong choice by basing ourselves in Heraklion. Sure, we like it here. 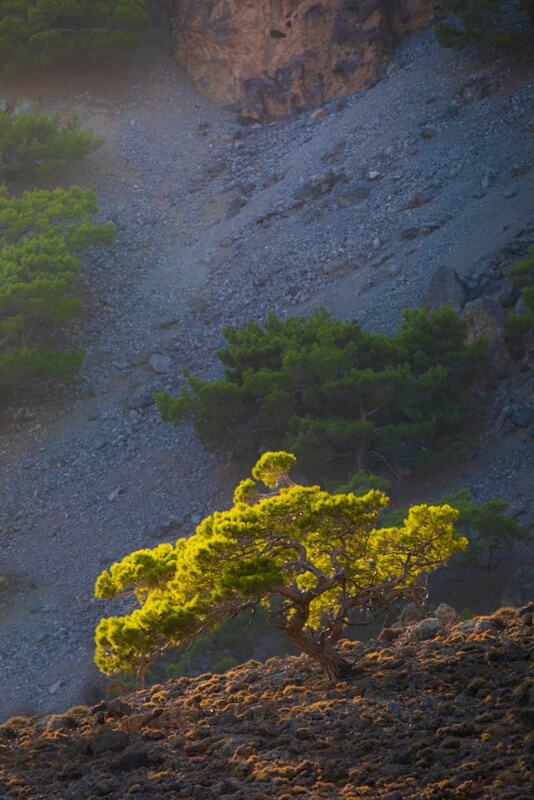 But, all the amazing landscapes we see in Crete photos seems to come from the area around Chania. So, we were really curious to go on a bit of a road trip to that side of the island. We rented a car from our friends at Motorclub and headed across the island. When we got there, we actually bypassed Chania and headed to Balos Beach. This is one of the most popular beaches in all of Greece; and it was busy. In fact, when we drove up to Balos Beach we almost turned around and headed somewhere else. There was literally hundreds of cars lining the streets down to the parking lot. It was a zoo. But then, as sunset got closer the beach kind of cleared out. By sunset, we were basically alone on the beach. The light didn’t exactly behave, but I am happy we ended up getting a couple images of this fantastic Crete beach. 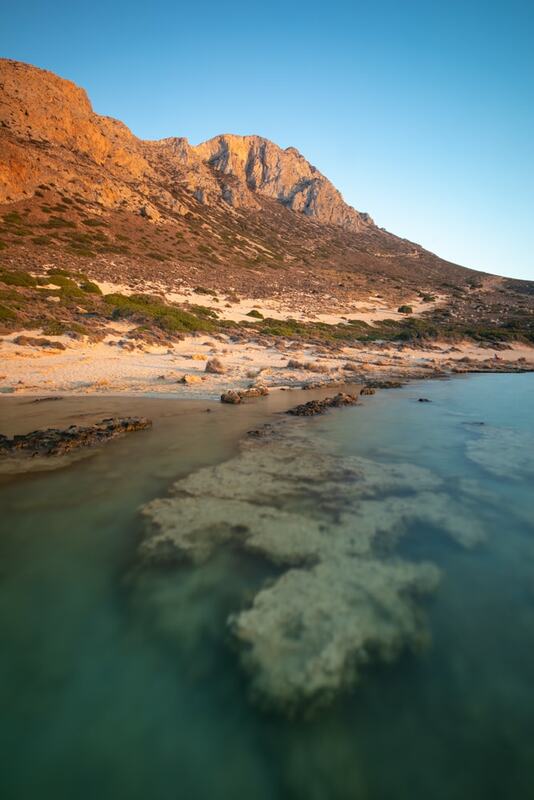 There’s a reason it’s a favourite location to make Crete photos. 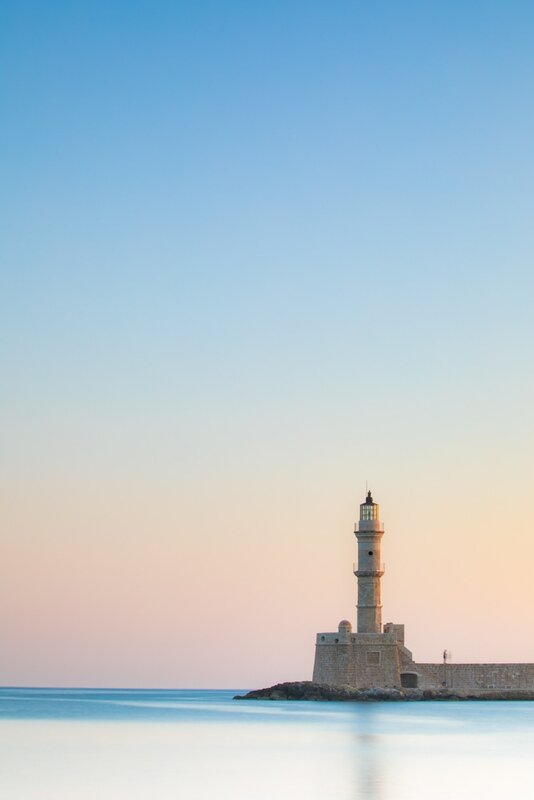 The following morning, we spend some time in Chania itself shooting both travel and street photography. In my opinion, the street photography opportunities in Chania made the trip totally worth it. I think I pulled 6 or 7 images from that one morning in the city. 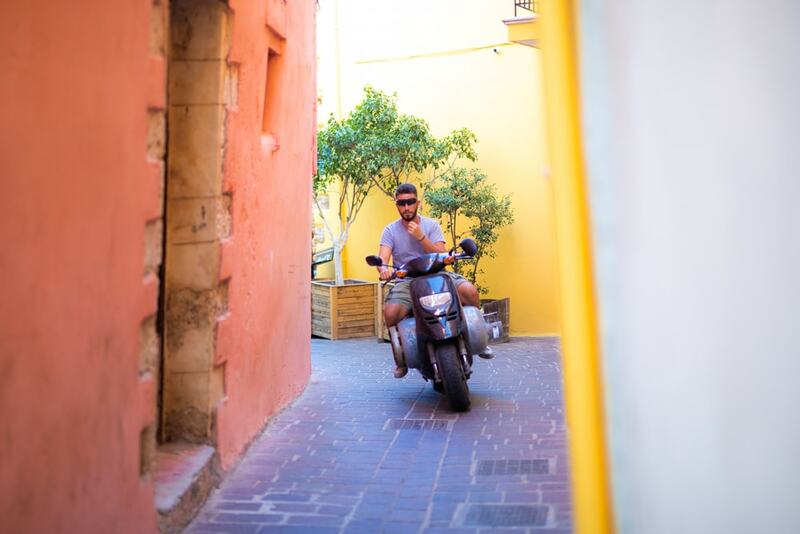 Morten said goodbye to us – and Crete – after a final day of photography from Heraklion. We started with a photo shoot at the town of Agios Nikolas which is absolutely photogenic. In fact, I’m surprised there weren’t other photographers there getting images of the location. It’s one of my favourite views on the island, and one of the most iconic Crete photos you can make. 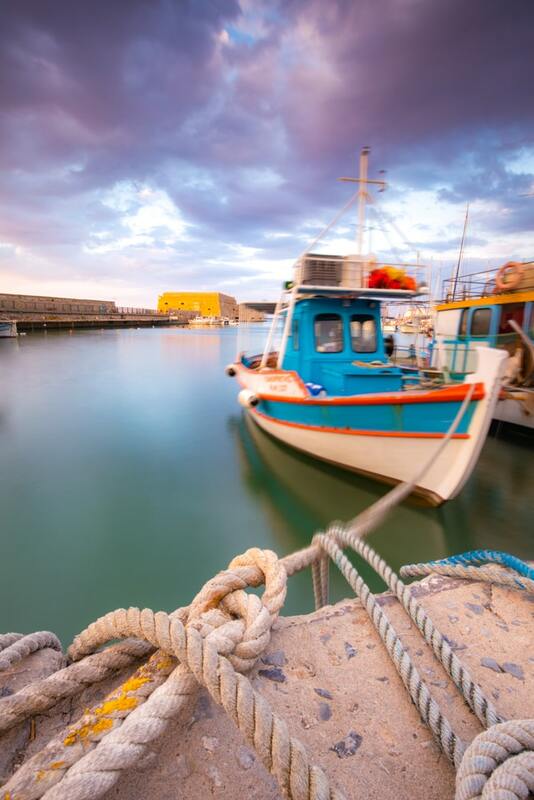 Then, we headed back to Heraklion for a sunset down on the harbour. It was a busy week, so we didn’t really do anything crazy. We kind of just hung out chatting and enjoying the Cretan sounds, sights, and smells. It was a good way to end the trip. Morten is an awesome guy. On his YouTube channel, it was his honesty and compassion that led me to reach out to him and see if he wanted to work together. But of course, not everyone is how they seem in their videos in real life. Morten isn’t either. He’s far more passionate. And he has a curious nature that is just infectious. So, yes, this was a great collaboration, and I feel lucky that we got to meet. The announcement is coming September 28th. I can’t reveal anything yet. But, remember that you can head over to my travel photography workshops page and sign up to the newsletter so that you get updates on tours, workshops, and my travel life in general. More Crete Photos? What’s Next? Jodie and I are still based in Crete for another month. But, the truth is that we’re going to be doing a lot of travelling and island hoping as well. 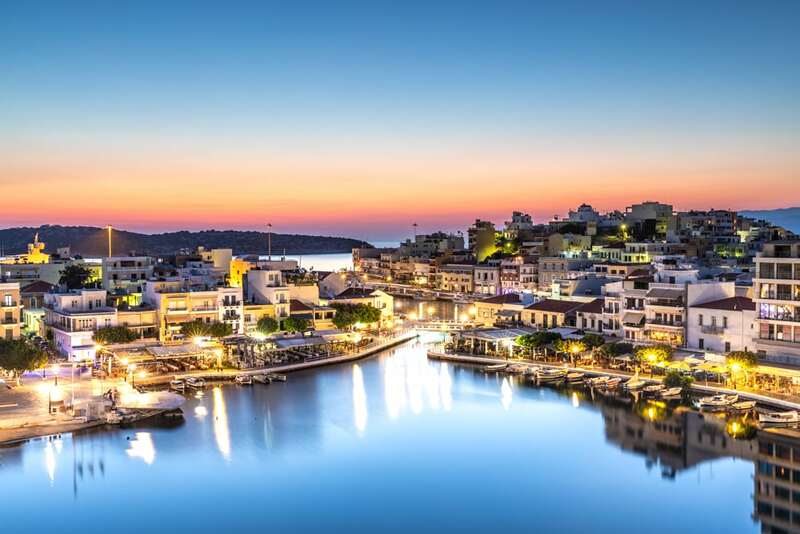 Today, we’re off to Naxos island for a couple days. When we get back, Greg and his girlfriend Nellie are arriving in Heraklion. He’ll be in Crete for the month of September to help with some things. So, yes, there will be more Crete photos and videos made. I think Greg and I will head out and try to do some star photography at some point. We’ll also be island hoping to Santorini, and Mykonos. 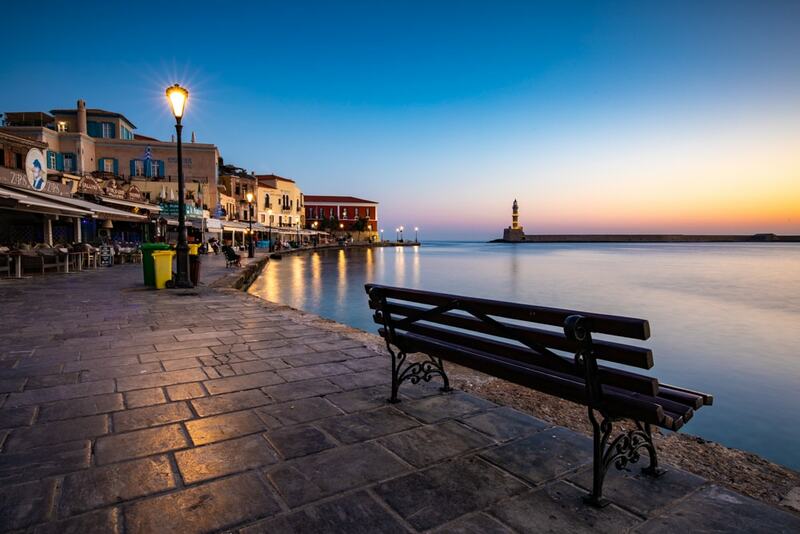 And don’t forget that there are still 2 or 3 spaces left in my Crete photography clinic. Loved watching this series of Crete as i was there on my holiday this year and really appreciate how hot it is out there at this time of year . We stayed in Agios Nikolaos with the iconic view over the lake is beautiful. Sadly it was a sunrise location so like you i did get up early and make the effort to get there for sunrise , and so glad i did. Love the images you have managed to get of the island so far , you do a great job the work load at times must be far more than people realise with client work, personal projects and vlogging , along with all the post work that goes with that, dont know how you keep up but glad you do, well done mate. Have been enjoying the Greek Idle locations. Your presentation style keeps it interesting. Keep up the good work. Beautiful photos of our lovely island! Thank you! !